Q.1 What will come in place of question mark (?) in the following questions? 672 ÷ 24 × 18 + 153 – 345 = ? Q.2 What will come in place of question mark (?) in the following questions? Q.3 What will come in place of question mark (?) in the following questions? Q.4. Each of these questions consists of a question followed by informations in three statements. You have to study the question and the statements and decide that information in which of the statement(s) is/are necessary to answer the question. Find in how many days total work will get completed if three persons Ranjeet,Seema and Abhay were involved in work ? Statement I: Ratio of work of Ranjeet , Seema and Ranjeet is 6:5:4 and Ranjeet worked only for one day.. Statement II: Ranjeet working alone would have completed the whole work in 30 days.. Statement III:Seema working alone will take 6 days more to complete the whole work as compared Ranjeet. यदि तीन व्यक्ति रंजीत , सीमा और अभय काम में शामिल थे तो पूरा कार्य कितने दिनों में पूरा हो जायेगा ? Q.5. Each of these questions consists of a question followed by informations in three statements. You have to study the question and the statements and decide that information in which of the statement(s) is/are necessary to answer the question. Statement I: Ratio of boys and girls in class is 3:2 and difference of total sum age of boys and total sum age of girls is 36 years. Statement II: Average age of girls in class is 11 years and 6 months. Statement III: If 10 new students join the class with an average age of 14 years the new average age of class will increase by 1 year. 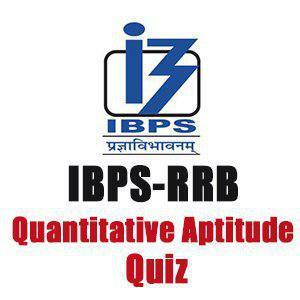 Q1-Ratio of MP and CP is 5:3 and he offers a discount of 20% on cash payment. Q2-Shopkeeper purchased some apples at rate of 45 Rs/dozen and sold all at rate of 5 Rs/banana. Q.7. The ratio between the speed of Puneet and Shashank is 3 : 7. If Puneet takes 240 minutes more than Shashank to cover a certain distance. Find the time taken by Shashank to cover the same distance ? पुनीत और शशांक की चाल का अनुपात 3 : 7 हैं | यदि पुनीत शशांक से एक निर्धारित दूरी तय करने में 240 मिनट अधिक लेता हैं तो शशांक के द्वारा निर्धारित दूरी तय करने का समय ज्ञात कीजिये ? Q.8. Rahman Sandeep and Abass can complete a work in 36, 42 and 48 days respectively. Rahman and Sandeep start the work after 6 days they take a leave for few days and handed the work to Abaas. Rahman and Sandeep leave ends 10 days before the work complete and Abass leaves the work on the return of Rahman and Sandeep. Find for how many days Abaas work? रहमान संदीप और अब्बास किसी कार्य को क्रमश: 36, 42 और 48 दिन में पूरा कर सकता हैं | रहमान और संदीप कार्य प्रारंभ करते हैं परन्तु 6 दिन बाद कार्य अब्बास को देकर कुछ दिन के लिए छुट्टी पर चले जाते हैं | रहमान और संदीप की कार्य समाप्त होने के 10 दिन पहले छुट्टी समाप्त हो जाती हैं और जब ये दोनों कार्य करते हैं तो अब्बास कार्य नहीं करता | ज्ञात कीजिये अब्बास ने कितने दिन कार्य किया ? Q.9. The width of a rectangular field is 10/21 of its length. If the area of the field is 3360 m2 then find the sum of the sides of rectangular field? एक आयताकार मैदान की चौड़ाई उसकी लम्बाई की 10/21 गुना हैं | यदि मैदान का क्षेत्रफल 3360 मी2 है तो इस आयताकार मैदान की भुजाओ का योग ज्ञात कीजिये ? Q.10. The number obtained by interchanging the digit of a two digit number is 75% more than the original number and the difference between the digits of this number is 3. Find the difference between the sum of the digit and difference of the digit? एक दो अंकीय संख्या के दोनों अंको के स्थान बदलने पर प्राप्त अंक वास्तविक अंक से 75% अधिक हैं और इन अंको का अंतर 3 हैं | अंको के योग अंको के अंतर का ज्ञात कीजिये ?